How Come I Was So Nice Before I Had Kids? Most requested topic! An exploration of the changes motherhood brings and the anger we never expected to erupt in our storybook lives. Are you the only one who feels like Mom of the Year is not quite within your reach? Or are those feelings normal? Can patterns change before it’s too late? Take the first step in knowing who we are, changing our habits, and leaning into grace in our parenting. An honest look at anger management for parents in the trenches, with real, practical help. “MOPS table leader: What one things are you going to take home from Jill’s talk today? Maybe you saw my article on this subject in the spring 2016 edition of Hello Dearest (The MOPS International magazine). Play is something we think we’ve grown out of. Yet in today’s world of “don’t waste time on anything that can’t go on a resume,” play is making a comeback. Why is it important? What does it do for us? How can we relearn to play ourselves, and how important is it to let our children just play? Practical ideas and latest research on going back to the wonder of play in busy mom’s world. Who would think that failure had anything to do with hope? Given the number of young women living with anxiety over it, finding the tools to learn to fail successfully, and teaching them to our children, seems a very sane path toward hope. Jill will teach some of the practical ideas outlined in her article on the A Fine Parent website. How can learning to fail truly release us from fears? How can teaching our children how to fail help them be happier, healthier, ultimately more successful kids? We can’t insulate our kids from all danger. There are, however, parenting choices we can make to help our children learn the respect, confidence, and intuition that offer a buffer against sexual abuse. Jill will go through some of the steps outlined in her article here on A Fine Parent. She knows firsthand the harm caused by sexual predation, and with three grown daughters, she’s had ample practice in working toward avoiding #MeToo in one’s family. She will particularly address some of the mores in Christian culture that could be contributing to endangering our girls and how to biblically address them. It takes bravery indeed to suggest not being available 24/7 in a plugged in world. What’s good and bad about technology and families? How do we set realistic limits? What are the alternatives? Recapture your kids (and yourself!) from an age of always ‘on’ and move toward making sane choices for your family. Regain imagination, generosity, communication—oh the possibilities!—without becoming Amish. Practical plans for starting now. Having a hospitable home at all times, even though Martha doesn’t live there and your kids definitely do. What does it mean to be hospitable? Does it look like the cover of a magazine, or does it look like something far better? What would it does to take to redefine hospitality and repurpose your home to be truly welcoming? Especially requested during the holidays. Can toddlers serve God? Why would we make the effort, given that just getting them to church is like training for Ironman? Serving with our children, at any age, isn’t just about doing good. It’s about creating little disciples who will love God and others naturally, daily. Jill outlines reasons, benefits, and practical how-to’s for making serving with kids a priority. Sometimes the last person we are kind to is the one in the mirror. When is the last time you did something nice for you? What was the last kind thing you said to yourself? What are the ways, little and large, we can stop treating ourselves like a last resort and start believing we deserve a little kindness? And you know what? When we are kind to ourselves, we shower that starry-eyed kindness on our kids, our spouses, and our world. Topics that can be stand alone presentations or 3-4 part retreat series. It’s a myth that millennials and baby boomers can’t get along. So often, however, the older generation finds the values, practices, and ideas of their children and grandchildren inexplicable. Jill presents some of the main cultural values of the next generation, how they can work with and even improve older values, and the reasons they are not only understandable but valuable. When we choose to work together, everyone benefits. Jill’s experience as a college group leader, her many articles no the subject, and her doctoral research all add authenticity and expertise to this topic. Life is full of improvising, creating something out of nothing, getting out there ready or not, and helping others take the lead. A humorous look at what I have learned through ten years leading community theater and how it relates to building the kingdom of God. It takes a brave leader to embrace the unexpected and turn it into ministry gold. This topic has been used specifically to teach about ministry adaptability in changing times. Why is surrender a bad word in our society? How does that make it difficult for us to surrender everything to God? What does a surrendered life look like? While American culture tells us waving the white flag is for cowards, personal surrender to God’s desires is really the ultimate act of courage and rebellion. It makes us more peaceful, grace-filled, honest, and ready to take on anything. Are you exhausted by living amid the cult of excellence? Convinced that anything less than 110% is a failure? Scared that making mistakes means you are a failure? Or do you have the subversive suspicion that, sometimes, good enough really is good enough? Being brave means stepping away from the crazy cycle of perfection and living in the grace of messy reality. Learn to stop living in the prisons of comparison, condemnation, and control. Follow me with steps to making a prison break to recapture joyful life. Based on Jill’s book, Hobbits, You, and the Spiritual World of Middle-earth. What makes epic stories epic? What are people looking for when they pick up an epic story, and how can we channel those longings into Kingdom purposes? How can we learn from the stories others tell how to make our own lives they story they were meant to be? Suitable for youth group and young adult events. Do you know who you are? Really? There are so many conflicting voices telling us who we are and who we are supposed to be. But only one voice wants to give us a life of promise and an identity that is secure beyond all fears and lies. So much that is broken in our lives can be healed by knowing who we are and who we were born to be. So much can be clear when we realize we are seen, known, and chosen for a purpose. And when we know who we are, it’s a brave and beautiful step toward helping others discover it for themselves. Do you dare to live the story He has for you? This talk can be crafted into a women’s Christmas event featuring the women in Jesus’ genealogy. If you are holding a panel-type discussion in your church on a topic, consider Jill on issues dealing with: women in the church, missions and families, discipleship with Millennials, and Thoughtful Christianity. Writing Bravely–What’s Keeping You from Reaching Your Goals? What’s the biggest handicap hindering your writing goals? Writer’s block? Marketing skills? Craft? Getting the contract? You really want to know? It’s–fear. Fear of failure, inadequacy, and yes, even success. Jill knows fear pretty well. She blogs about it incessantly. In this workshop, participants work through the fears that are keeping them from reaching for their goals and find practical steps for conquering them. If you’re looking for a workshop that will send you out with peace and happiness unicorns, this is probably not your room. But if you want real tools and a kick toward where you want to be, come on in. Don’t be afraid. If you’re passionate about reaching the next generation of Christians (or not yet Christians), you need to know what they’re thinking, valuing, and dreaming. This workshop covers: Styles that best suit a Millennial audience–how do we tailor our way of speaking to meet their perception? Topics that attract—what valuable issues do Millennials see that we must tackle, and how? Spiritual and emotional needs of Millennials—what is at the heart of their apparent disconnection with Christianity, and how can we speak to those needs? Jill brings her experience as a Discipleship pastor, teacher, and leader of college/career discipleship as well as a writer to this discussion of the post-Christian generation and what they want to read. It’s all about writing story these days. Not stories—story. That is, writing your nonfiction as a storyteller, not a preacher. This shouldn’t surprise us, because Jesus always communicated that way. Theology, history, and psychology all tell us people are changed by story, but too often, we write to tell people how to change rather than show them changed lives. How do we take the information we want to convey and create an engaging, creative, true narrative of life touched by God? How can we write something an editor and a reader will remember long after they’ve forgotten your three alliterative main points? We’ll cover creative nonfiction basics and work on fun in-class exercises to practice it all. Some of Jesus’ first words were a question: What do you want? Literally, what is your purpose here? Do you sometimes wonder that, as a writer? We know all the disciplines—write every day, market constantly, build a tribe, query, rinse and repeat. Sometimes though, do you question if you’re still connected to the One who called you to start the writing journey in the first place? If your job is to make disciples (and it is! ), do you doubt your effectiveness in the middle of the business, and busyness, of writing? If you’re questioning your niche, brand, or overall purpose in this writing work, maybe you need to sit with Jesus’ question. Jill takes Jesus’ first question—what do you want?—and digs into it for writers. We will follow, comer, see, and stay with Jesus in ways that make our writing ring with purpose. I don’t always get a contract, but when I do . . . it’s because I wrote a great query. The market is tough and getting tougher. How do you stand out in the inbox and make sure you get the ask for your work? Surprising mistakes you don’t know you’re making may be keeping you from getting that coveted green light. We’ll cover some basics as well as some nuances for particular markets. Bring an idea and work on polishing it here. Jill has received a “yes” this year from CT Pastors, CT Women, MOPS, (in)courage, and more. In Jill’s favorite movie series, King Theoden utters the line—“What can (people) do against such reckless hate?” Do you feel that way sometimes as you try to fathom the anger that permeates so much of our public communication today? Do you want to be part of the solution to reckless hate, but sometimes you fall victim to it because loving our enemies, in print, is hard work? If God calls you to be a prophetic writer—one who speaks for justice and kindness in an unkind world—he’s also going to equip you to do it with grace and truth. No matter what your genre or expectations that you’ll be taking on the world, if you want to learn to speak well and wisely about public issues, come talk. We’ll consider how we can put these two together when we use our words for God’s calling. Have editors told you you need to eliminate the passive voice? Show not tell? Cut your dearly beloved adjectives and adverbs? Here’s why—and how. Polishing your manuscript to free it from errors and awkward style issues not only gets you a second look, but in this competitive market, it’s not even negotiable. Jill will address using descriptive language, finding strong words to mean what you say, grammar rules you never knew, and more. The session is interactive with practice doing what you’re learning. Tackling all your confusion about commas, passion about punctuation, and terror of tense, Jill brings her experience as a teacher, a copyeditor for Tyndale House, and a freelance editor to your grammar and style questions. Based on Jill’s book, Hobbits, You, and the Spiritual World of Middle-earth. What makes epic stories epic? What are people looking for when they pick up an epic story, and how can we channel those longings into real life purposes? How can we learn from the stories others tell how to make our own lives they story they were meant to be? Of course you can. Anyone can make his or her writing more interesting, fun, and, maybe, even publishable. What does it take to bring your creations from boooring to A+? A hands-on look at some basic tools of good writing that anyone, age 10-110, can use to get to the head of the class. How does a person go from writing down her thoughts in a journal or on a computer to seeing her name on the cover of a book? (Or in the credits for an e-book?) 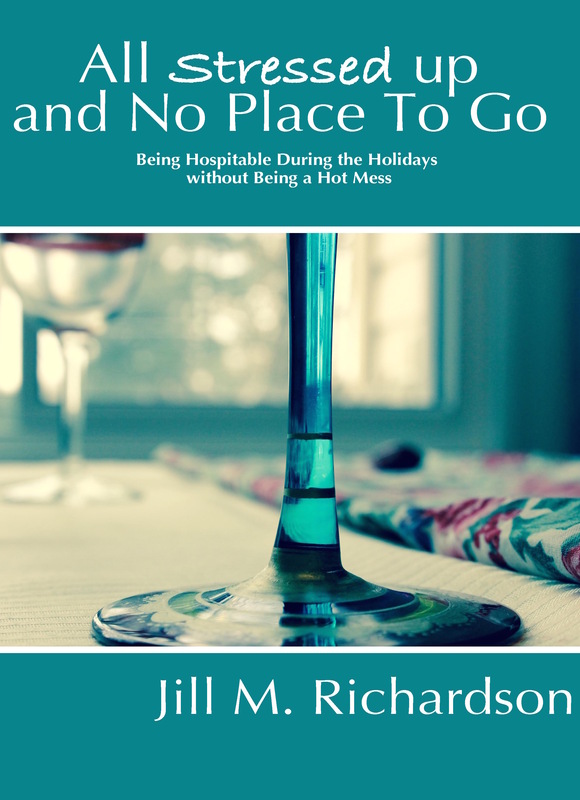 Jill’s journey from procrastination to publication and the nuts and bolts of how you might take that journey as well. Have teachers told you you need to eliminate the passive voice? Show not tell? Cut your dearly beloved adjectives and adverbs? Here’s why—and how. Using descriptive language, finding strong words to mean what you say, grammar rules you never knew, and more. The session is interactive with practice doing what you’re learning. Tackling all your confusion about commas, passion about punctuation, and terror of tense, Jill brings her experience as a teacher, a copyeditor for Tyndale House, and a freelance editor to your questions. What is the purpose of fantasy and how can we use it to promote positive aspects of life? Is it purely escapism, or does fantasy serve a purpose that other writing can’t? How does this type of fiction affect culture, and does it matter? How the ideas of JRR Tolkien, especially regarding heroes and hope, can change people today and give us a positive cultural impact.